As sitcoms move more towards cable and streaming, one "art" that I fear is becoming a bit lost is holiday episodes. Truthfully, one of the more exciting aspects of a sitcom used to be how you could spend the entire year with your favorite characters. They would be with you as you celebrated Christmas, Thanksgiving, Halloween, and even through each season. This, of course, is when each sitcom would run for the whole year. Now that sitcoms are becoming more and more like the rest of TV, moving towards shorter, more contained seasons, the holiday episode has gone to the wayside in some respects. Granted, some sitcoms - especially network sitcoms - still do holiday episodes each year, and do them well. Brooklyn Nine-Nine's Halloween episodes are a staple. 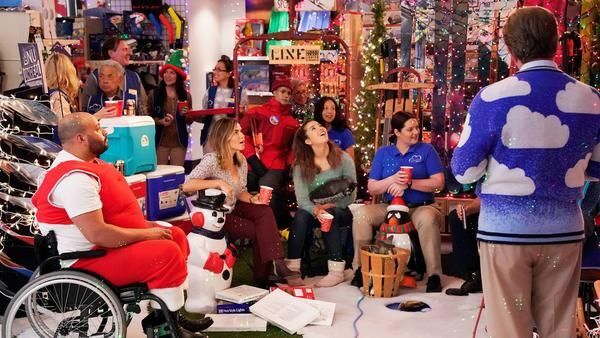 Superstore depicts the retail craziness of the holiday season brilliantly. However, there are so many great shows that we'll never really see a holiday episode of, or at least, not on an annual basis like we once did. It's just one of the many ways that sitcoms have changed as television itself has changed as a medium. Granted, many of these changes are for the positive, and in general I think it benefits TV to move towards this direction. However, I'll miss the traditions like holiday specials. Some shows have gotten around this - for example, BoJack Horseman dropped a surprise Christmas episode in the December after its first season. It'd be cool if more shows were able to do that - if not, then I guess it's just another TV tradition that will one day be of the past. FXX and Fox have joined forces to celebrate the 30th anniversary of The Simpsons with two special events this month. On Sunday, December 16, FXX will air a 15-hour marathon featuring episodes specifically curated for this special programming event by executive producer Al Jean. The 30-episode marathon begins at 9 a.m. ET/PT and ends at midnight on FXX, cable's exclusive home for The Simpsons. 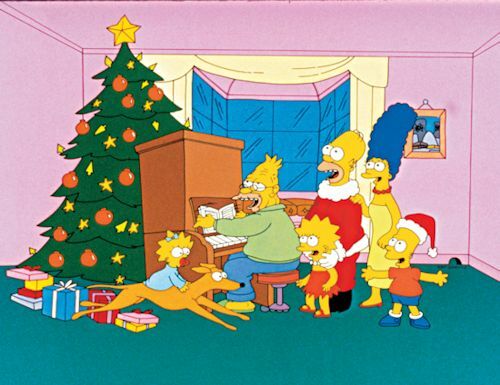 One week later, Fox will air a special encore of The Simpsons first-ever full-length episode, "Simpsons Roasting on an Open Fire," on Sunday, December 23 at 8 p.m. ET/PT. In this encore of the 1989 Christmas special, Homer (Dan Castellaneta) tries to earn extra money to buy Christmas presents for the family, and everything he does goes wrong. Fortunately, he is rescued by Santa's Little Helper. All-new episodes from the 30th season of The Simpsons air Sundays at 8:00 p.m. ET/PT on FOX.